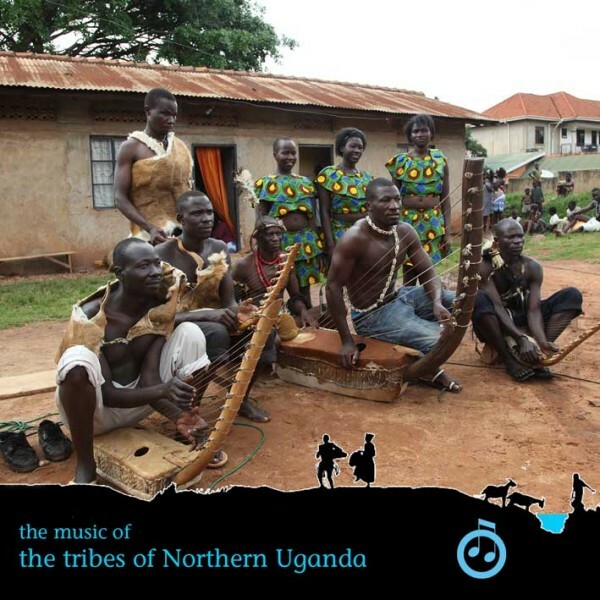 This collection of recordings showcases the field recordings from our December 2012 trip to record the music of the Northern Tribes of Uganda. We began with a base in Gulu, with journeys to Acet and Paibona. In Achet on our first day of recording, we were blessed with a recording location in the shade and 6 groups who turned up to perform their Acholi dance music. Day 2 found us in Paibona, with our first introduction to Likembe music provided by the Rubanga Kingom Awach Boys. The youthful energy of Ker Kel Kwaro followed, with our third group being led by an old lady and master of the Adungu (the Acholi version of the instrument – a three stringed lyre played using the chin). Waroco Terawo were our fourth group. A long drive out west brought us to Fort Murchison and Pakwach. We went on further to Widianga village and the Alur Kingdom Troupe. Later that day we were treated to Cieng Dwong back at Fort Murchison – darkness descending as we recorded. A travel day to Soroti was followed by another Likembe band – the Macedonia band, before the long drive back to Kampala. One night in Kampala was followed by a recording in Naguru, recording the Adungu Cultural Troupe and the Watmon Cultural Group, before heading back to the Entebbe Guesthouse to record more with the Watmon Group and Akello – our influences artist.